Microsoft has always designed the leading programs that are used by computer and laptop and also similar device users in all around the world. All the programs and especially the Microsoft Office 2010 programs are handy as another hand and they ease so many tasks and enable humans to carry out their tasks without having to put so much effort in. 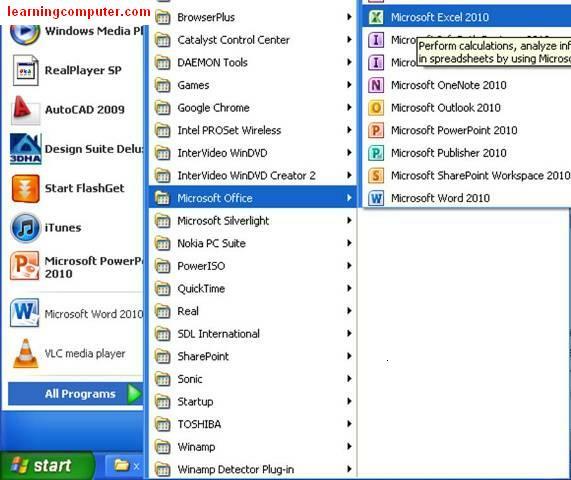 Excel 2010 is one of the most important Microsoft 2010 Office programs and it is used very widely and for so many different purposes. Excel 2010 enables computer users to carry out calculations, study information and analyse them by using visual representations such as graphs, and visualize data in spread sheets. For instance some businesses use Excel 2010 for creating data tables for their incomes, while others use Excel 2010 to do expanded calculations. Excel 2010 has been flourished with so many great new features and they have all been designed at the top level to provide Excel 2010 users with a high quality experience which was never met with the previous versions of Excel 2007. Excel 2010 has been around for some time and it has been arousing so much interest due to its ease of use, handiness and additional features and as your read on your will be discovering the most amazing features that Excel 2010 offers to those who choose it. You will also discover that you do not have to be an expert user of Excel 2010 to be able sort out your tables, calculations, graphs and many other things. This is a general look to Excel 2010. Excel 2010 basically has the features from previous excel forms however the ones Excel 2010 have actually jumped a few steps up and came around with a better look and a greater design. In addition to their looks Excel 2010 features have been placed so well so that users can actually access them easily without having to search the entire Excel 2010 drop buttons to find the exact thing they are after. Excel 2010 has many features that it took from the Excel 2007 form but they has been placed more logically and therefore a better access is provided. However before exploring all these features you should first open a new Excel 2010 work sheet and the following screen shot should be a guide for those who are new to Excel 2010. This is how you can open a new Excel 2010 document. 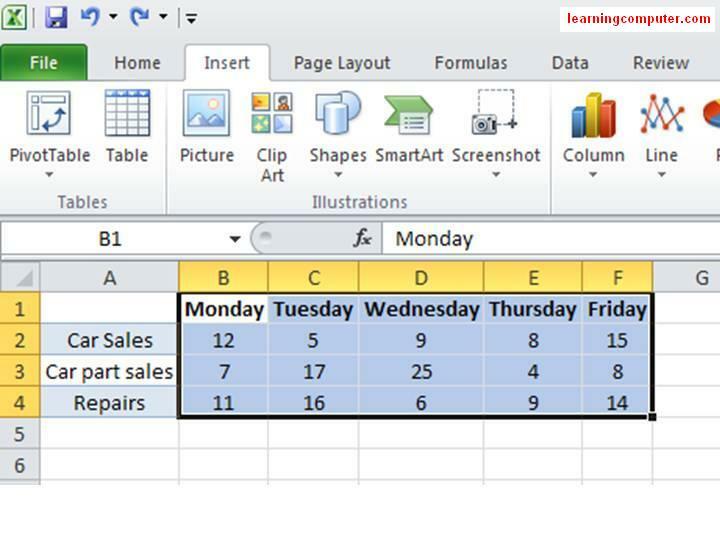 To open a new Excel 2010 document to perform your calculations, enter and analyze entered information or to visualize data in spread sheet for a clearer view, use this route and you can easily open a new Excel 2010 document and start working on it. 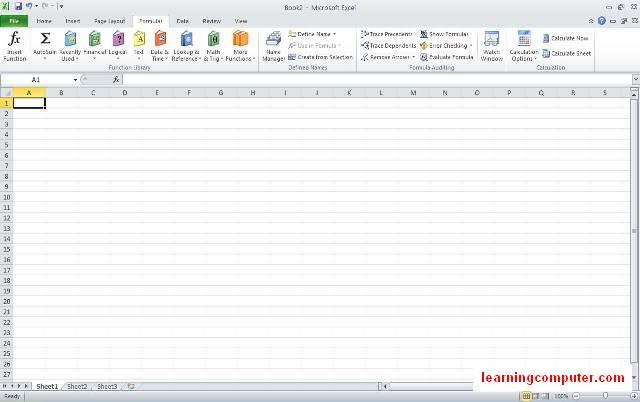 The route you need to follow to open an Excel 2010 sheet is to click on Start and then on All Programs which are followed by Microsoft Office 2010 and at the end you will have to click on Microsoft Excel 2010 and this is how you can open a new Excel 2010 document for your use. If you are one of those people who make use of Microsoft Excel 2010 frequently then you may also want to access it quickly and easily without having to follow this route every single time you need to open a new Excel 2010 document. Here is the answer; you can simply pin Excel 2010 to your start menu and access to it only with one click and here is how you can do it. To pin Excel 2010 to start menu, the route above should be followed and when you reach to the last part where you click on Microsoft Excel 2010 and get a new Excel 2010 sheet opened, you have to right click and there you will see a button which says ‘Pin to Start Menu’ and once you click on that you can simply have Excel 2010 place on the start menu. In addition to this, rather than right clicking and selecting pin to start menu button, you can just drag Excel 2010 to the start menu and place it to anywhere you like in the start menu. A visual demonstration of how to pin Excel 2010 to Start Menu. If you already have Excel 2010 pinned to start menu and want to remove it you can simply follow the route about and click on ‘Unpin from Start Menu’. File button of Excel 2010 has been taken from 2007 format but this one has more features and some which have been improved. However with 2007 Excel it was Office button and now with Excel 2010 it is called File button. The file button of Excel 2010 has the following buttons; Save, Save as, Open, Close, Info, Recent, New, Print, Save and Send, Help, Options and Exit. For those who are not quite familiar with Microsoft 2010 Office programs or especially Excel 2010, the Save button allows users to save their works, Save as button enables already saved document to be saved with a different name again. Open and Close are basically buttons which enable users to open already save Excel 2010 worksheet or close it. Info button gives basic information about the worksheet such as the date it was modified, the author, size of the document and so on. Recent button provides easy access to most recent documents. 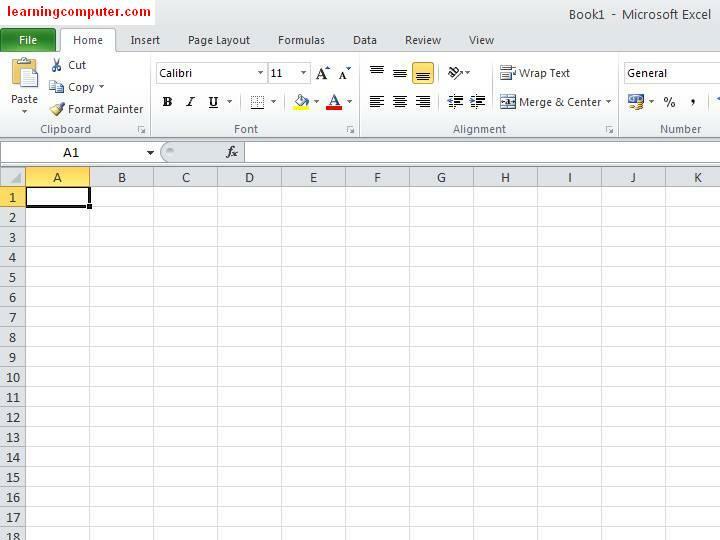 New button as its name suggest enables you to open a new worksheet of Excel 2010 and with the print button you can print out your work on paper to hand it to your boss, teacher and so on. Save and send button is there to enable you to send your saved document via email and we will be looking at this button closely. Help button in 2010 Excel is available for those who are not familiar with using Excel 2010 as well as many others. Options button is there to make some changes to your Excel 2010 and this too will be observed closely. 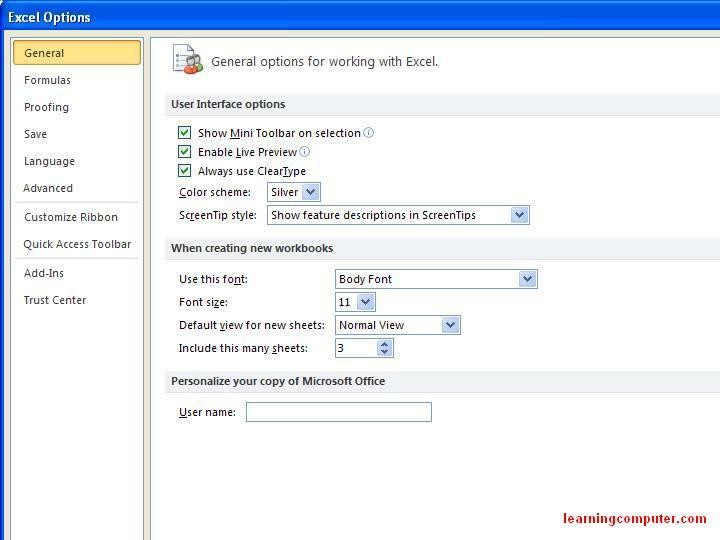 Finally the Exit button enables users to exit from Excel 2010 worksheet. A visual representation of the File button of Excel 2010 is as follows. The Save and Send button is one that has many great and useful features of MS Excel 2010. Basically once you have produced some work on Excel 2010 and want to send it you can click on File and then Save and Send button and you will have the below screenshot like screen. There present the Send Using Email button, Save to Web button and Save to Share Point and many others. These buttons are those which enable you to share your produced work to be shared by some others. 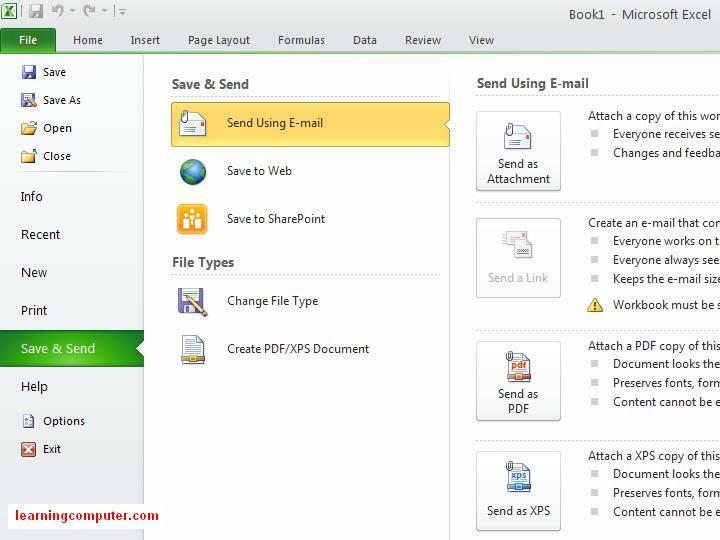 If you choose to send your Excel 2010 worksheet via email then you will have exactly the same screen as below and you can send your documents as an attachment, send as PDF, send as XPS, send as internet fax or send a link to your document but for this option you will have to save the Excel 2010 worksheet saved in a shared location. This is a better look to Save and Send button of Excel 2010 File button. 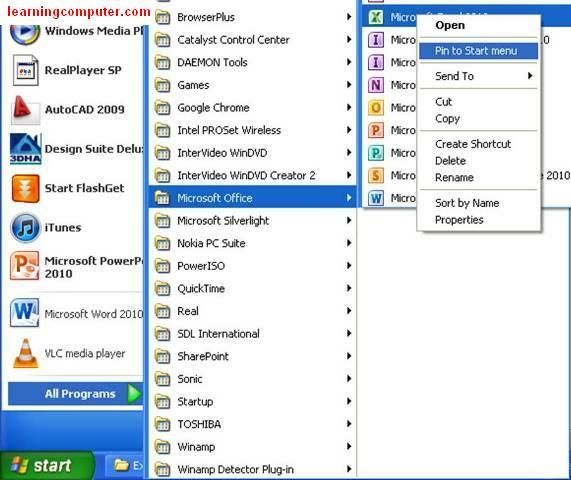 The options button of Excel 2010 File button is a very useful one to discover. This button is great for those who regularly work on Excel 2010 as well as those who work on it time to time. There is a General, Formulas, Proofing, Save, Language, Advance, Customize Ribbon, Quick Access Toolbar, Add Ins, Trust Centre buttons which enable users of Excel 2010 to modify it as they would like it to be. For instance if you are working on MS Excel 2010 all the time and bored of having to save it every 5 minutes, you can click on Save button and set the AutoSaving option on. You can set the AutoSave time as low as 1 minute and it will regularly save your Excel 2010 worksheet. Quick Access Toolbar is another button which should be observed quickly. 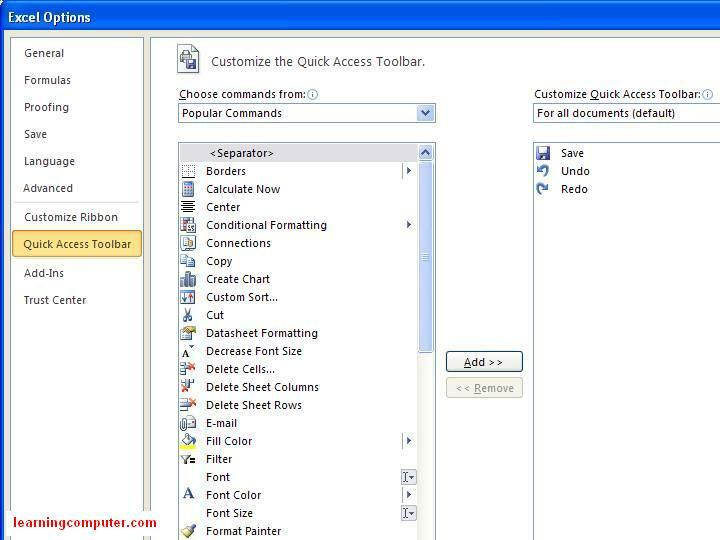 As the name suggests Quick Access Toolbar enables Excel 2010 users to access the mostly used buttons easily and quickly and to customize those buttons according to your needs and preferences you can basically click on the Quick Access Toolbar and choose the icons you want to see in the Quick Access Toolbar of Excel 2010. This is how the Quick Access Toolbar button of Excel 2010 Options button looks like. This is how the Quick Access Toolbar button of Excel 2010 Options button looks like. – Try Microsoft Excel Online Training for 7 days! Along with the Quick Access Toolbar, if you are after modifying the look of Excel 2010 just as you like it to be, you can select the Customize Ribbon button in Excel 2010 and change it as you wish. 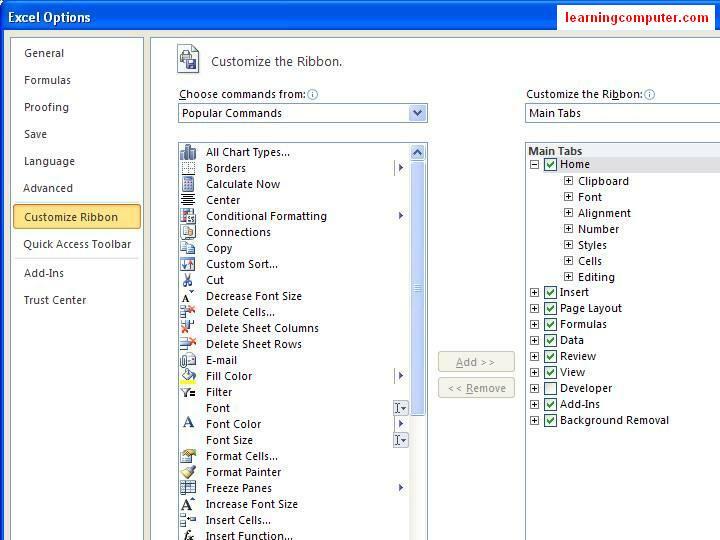 This is a visual representation of Customize Ribbon button of Excel 2010. The Ribbon of Excel 2010 consists of File, Home, Insert, Page Layout, Formulas, Data, Review and View. Home button exists of the most frequently used icons and it has the following groups. Clipboard, Font, Alignment, Number, Styles, Cells and Editing and all these options enable Excel 2010 users to modify their data to make it look more professional and without having to spare large amounts of time and effort. 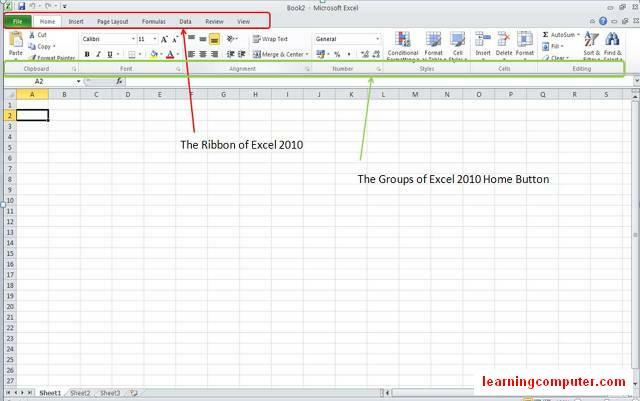 This is how the Excel 2010 Ribbon and the Groups of the Home tab look like. The Insert tab of Excel 2010 Ribbon is one of the most interesting one to discover and it has so many visually attractive features that will allow users of Excel 2010 to produce amazingly professional looking graphs and tables. The insert button consists of Tables, Illustrations, Charts, Sparklines, Filter, Links, Text, Symbols groups and all these groups consists of many icons that have been designed to provide a perfect Excel 2010 experience. 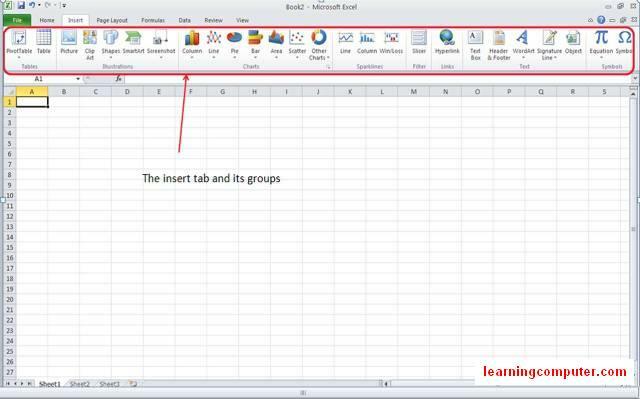 Insert tab of Excel 2010 and its groups are shown in the screen capture below. Charts group is one of the most useful groups of Microsoft Excel 2010 and it has been improved and came around with some new features which were not available with the Excel 2007. 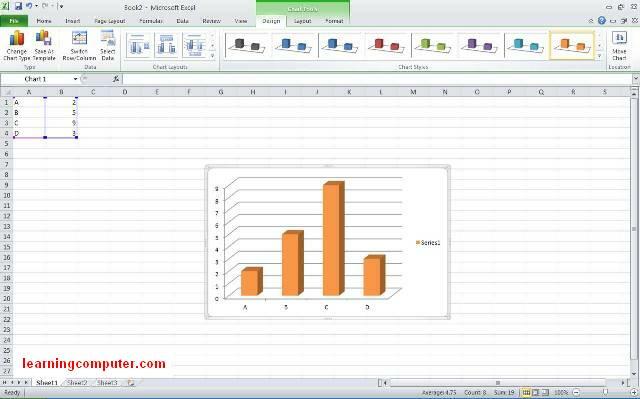 Below is a screenshot to present how a graph looks like in MS Excel 2010 worksheet. Once you have entered your data and chose the type of chart you need or would like to use, all you have to do is to select all the data you have entered and click on the chart which could be Column, Line, and Pie, Bar, Area, Scatter and some Other Charts. Once you have generated your chart and clicked on it there will appear a Chart Tools option above and it consists of Design, layout and Format groups which enables users of Excel 2010 to format their graphs. To simplify the procedure of adding a chart to Excel 2010 you can follow the below route. By following the above route one can simply insert a chart to Excel 2010 worksheet like the one below. This is how a chart looks like in Excel 2010 worksheet. 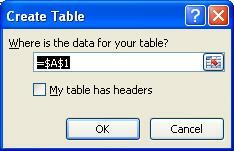 Tables are one of the most widely used features of Microsoft Excel 2010 and the previous ones. Excel 2010 tables enable its users to manage and analyse related data and also they make it a lot easier to sort, filter and format the data entered to an Excel 2010 worksheet. It is very easy to insert or draw a table in Excel 2010 since all that is requires is to click on insert and then click on the Table button placed in the Tables group. This is the window that comes up when adding a table to Excel 2010 and it enables you to select the cells that you want to place the table. This is how an inserted table in MS Excel 2010 looks like. How to Add Sparklines in Microsoft 2010 Excel? Sparklines is a group of the Insert tab of Excel 2010, brand new feature. Within the Sparklines group there are Line, Column and Win/Loss. Sparklines in Exel are great as they show trend information without taking too much space. Sparkline which enable the users to insert Line, Colum or Win/Loss charts within a single cell. It is a new feature that is only available with Excel 2010. 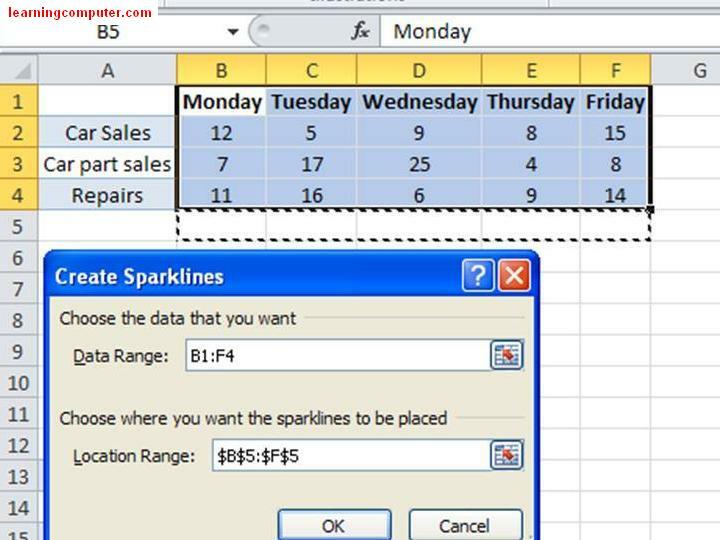 To insert one of these Sparklines to Excel 2010, one has to enter the data to be used and the following screenshot is an example to show how the data should be entered. This above Zoomed in screenshot is to show how the data to be used to insert Sparklines should be entered in Excel 2010 worksheet. Once the data is entered to Excel 2010 worksheet to insert Sparklines, one has to select the data as shown in the below screenshot. 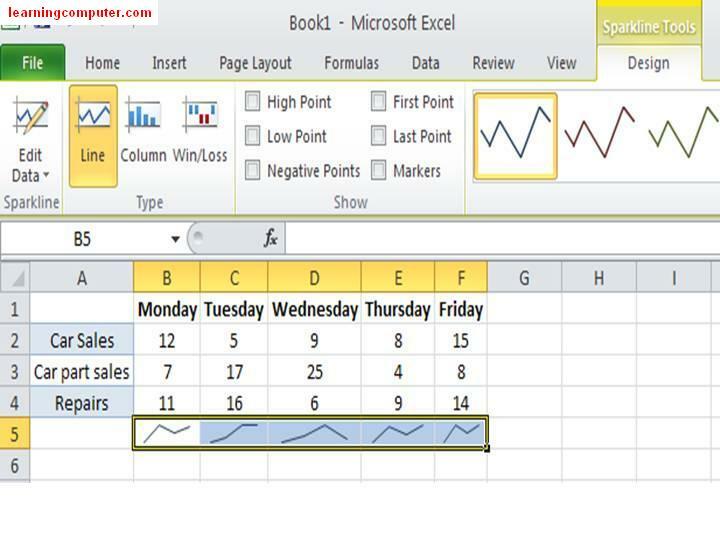 The above screen capture shows how the data should be selected in order to insert Sparklines to Excel 2010 worksheet. Once the data in the Excel 2010 worksheet is selected as shown above, all that is required is to select the type of Sparklines that is to be used. Once can choose Line, Column or Win/Loss Sparkline and by clicking on the selected type, there will be an Excel window coming up as shown in the screenshot below. The above screenshot shows how the window that comes up when inserting a Sparkline to Excel 2010 looks like. Once the data within the Excel 2010 worksheet is selected and the type of the Sparkline to be used is chosen the window shown in the above screenshot will come up. As can be seen clearly there are two areas one called Data Range and the Second one called Location Range. The Location range will be selected by the user and all that is required is to select the single cells where the Sparkline will be placed. The dashed area is the selected location for the Sparkline to be inserted into Excel 2010 worksheet. Finally once the location is selected and all that is required is to click Ok button and the Sparkline will be inserted to the Excel 2010 worksheet as shown in the below screen capture. The above screenshot shows how a line Sparkline looks like and the Sparkline Tools tab in 2010 Excel. Once the Sparkline is inserted into Excel 2010 worksheet there will appear a Sparkline Tools tab and it enables the Sparkline to be formatted. For instance the colours of the lines could be changed and one can also choose to show the highest or lowest points of the Sparklines. Finally one can use the Sparkline that is inserted to Excel 2010 worksheet to analyse data more clearly. Excel 2010 is one of the easiest one of the Microsoft office programs and once you have used it a several times, you will easily get the hang of it. Designers of Excel 2010 have thought everything through while designing this amazing program. Formulas are one of the most frequently used aspects of Excel worksheets and with MS Excel 2010 it is much more easier to enter formulas and do your calculations and many other things that require the use of formulas to provide you with quick generating of data and calculations and so on. Once you have clicked on the Formulas tab which is placed on the Ribbon of Excel 2010, you will see the below screen which shows the groups of this tab. Function Library, Defined Names, Formula Auditing and Calculation are the groups of Formulas Tab of Excel 2010 and these are basically the mostly needed and used formulas and functions to be used with Excel 2010. The Function Library in 2010 Excel is one of the handiest one of all and it provides Insert Function, Auto Sum, Financial, Logical, Text, Date and Time, Lookup and Reference, Math and Trig and More Functions buttons in Excel 2010. This is how the Excel 2010 Formulas tab and its groups look like. Excel 2010 is a great program that enables its users to work with entered data and many other things. For instance as stated earlier one can enter data and then create Sparklines to analyse data easier. Along with the Sparklines feature the Slicer feature is another new one and it is special to Excel 2010. 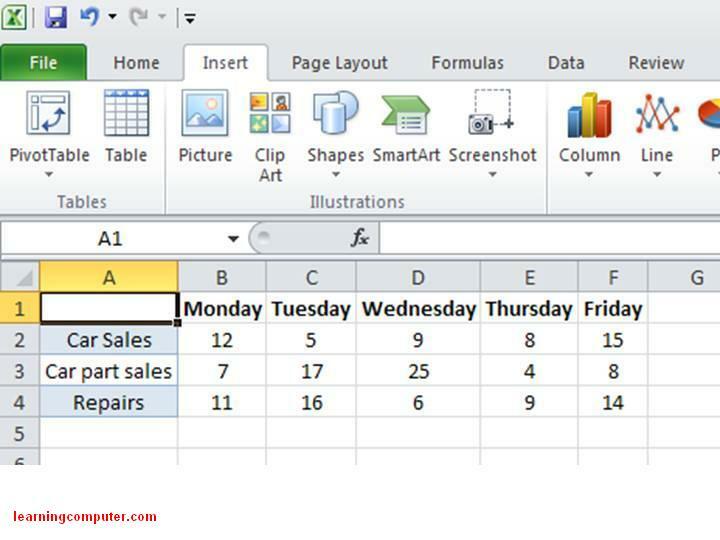 The Slicer feature of Excel 2010 enables users to insert a slicer to filter data interactively and also with slicers it is now so much easier to filter PivotTables and cube functions. If you are after getting more information about Excel 2010 then the link below is a useful one to look into.